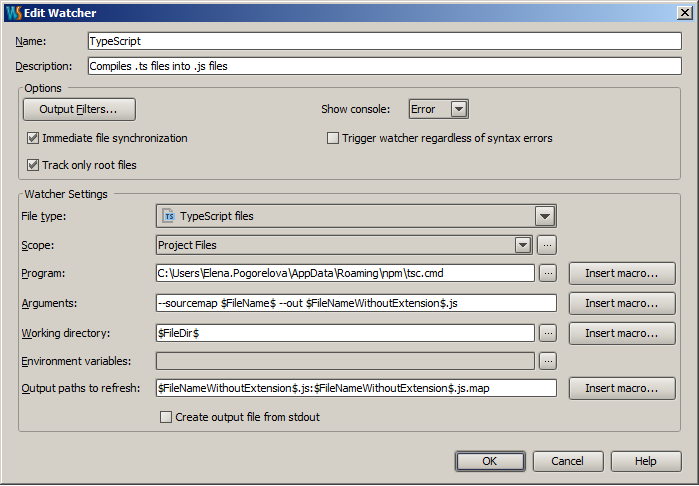 I have setup a File watcher to compile typescript and everything works fine. I want to add a final step that invokes the typescript compiler on the main app with --out flag and concatenates everything into one js file. Is this possible in webstorm?